The Rosewood Luxury Leather Dog Collars are a gorgeous leather collar option for you beautiful boy or girl. 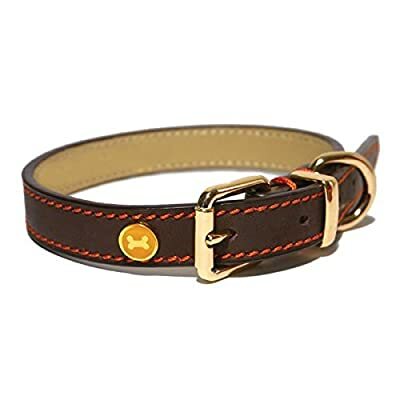 This collar has an incredibly cute and stylish paw print embellishment with a quality buckle fastening! Please review the size chart to find the perfect fit for your dog! Rosewood Luxury Leather Collar Brown 1 1/2"